There are all kinds of reasons why you might need to find a new plumber. Maybe you just moved to a new area. Maybe you had a bad experience with your last plumber and want to try someone new. Whatever your reason is, finding a new service provider you can count on can always be intimidating. Luckily, you don’t have to do it alone. We want to help. These are the five most important questions you should ask any professional plumber before you hire them. If they can answer these questions properly, you should feel confident that they’ll be able to complete any plumbing service you need done. Plumbing companies need different licenses for different types of work. You should be able to ask them about their individual licenses and receive the relevant information without push back. In California, you can actually check a plumber’s license yourself online. After you check their license, you should also make sure your plumbing technician is fully insured. When plumbers are insured, you be covered in case of an accident or mistake. Hire a plumbing company that has up-to-date builder’s risk, bonds, and workers compensation insurance. If they have all that, then you can rest assured you won’t get burned if the unexpected happens. Ask the plumber if they can point you to independent testimonials or reviews from previous customers. You could also search for customer reviews online via Google, the plumber’s website, or social media. You want to see what people who aren’t involved with the company say about its work. You’ll be more likely to get honest, straightforward answers and advice that way. You know better than anyone else what type of plumbing problem you’re most likely to face in your home. If you think emergency plumbing services will be a priority, find a company that can offer fast, same-day service. Even if you don’t think you’ll need emergency services, fast service can make the difference between a minor inconvenience and a major problem. When working with a plumbing company, don’t be afraid to ask them about the particular specialties of their technicians. Getting to know the people you’re working with can help you request the ideal candidate. For instance, a technician who’s especially good at remodeling might not be as proficient at maintenance services. 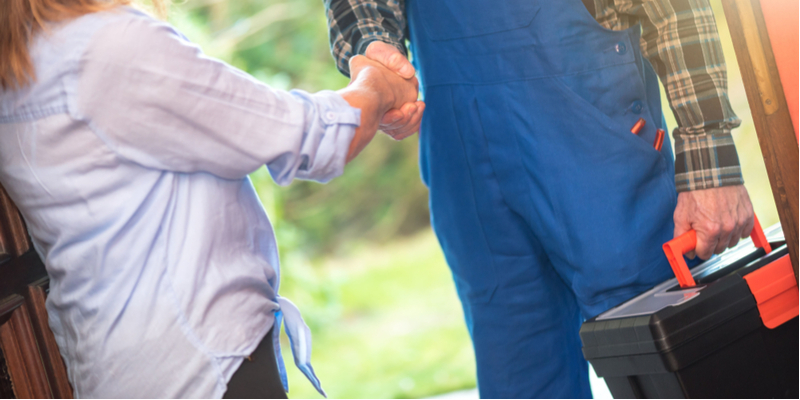 A great plumbing company will point you in the direction of the best person for the job every time. All you have to do is ask. While longevity doesn’t guarantee better service, it does say a lot about a company. You can’t be in business for decades if no one is coming to you for help. Longevity tells you that they’ve done well enough keep their customers returning for a long time. Hopefully, you could turn into another happy, returning customer! If you’re interested in partnering with a new plumbing company, don’t hesitate to give Mike Diamond a call. We’re always happy to answer your questions, whether it’s one of these five or a hundred others.